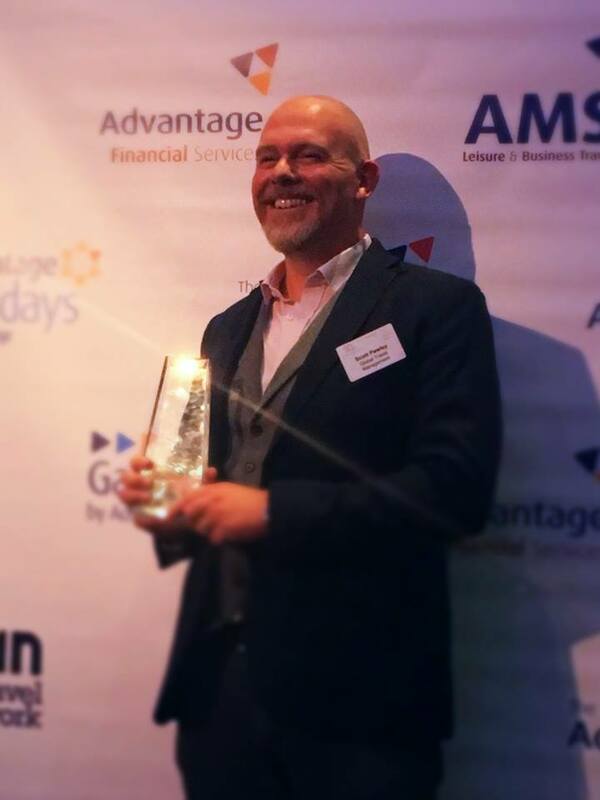 Global Travel Management Managing Director Scott Pawley, on receiving the 2017 Outstanding Achievement Award from Advantage Travel Partnership, the UKs largest independent travel agent consortium, called on the travel industry to pull together. Scott, Managing Director of GTM, which is celebrating its 20th anniversary, has led many of the initiatives through his leading role in Focus Partnership a network of 69 UK TMCs, affiliated to Advantage. This has included the Focus Fare Finder Tool, invented by Scott, and which has achieved over £1million of air savings for the group’s member year on year. 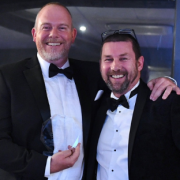 Advantage Travel Partnership whose members collectively produce over £4.5bn of travel sales each year, brought together 240 delegates at the Grange City Hotel, London, on 6 October for the awards ceremony at its second annual Big Celebration Lunch.